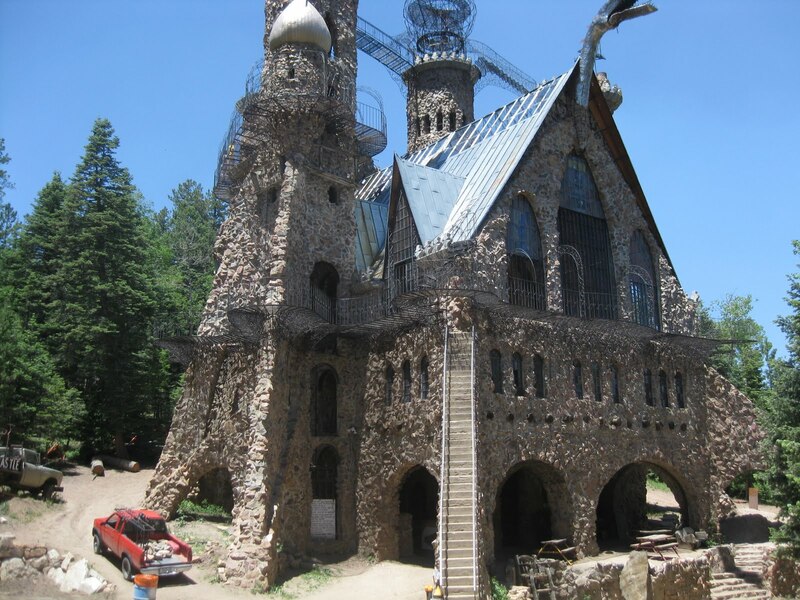 Just southwest of Pueblo, CO one man has built his own castle. Jane and I went there to check it out. It is 40 years work of only one man and his wish to build something for everyone to enjoy. 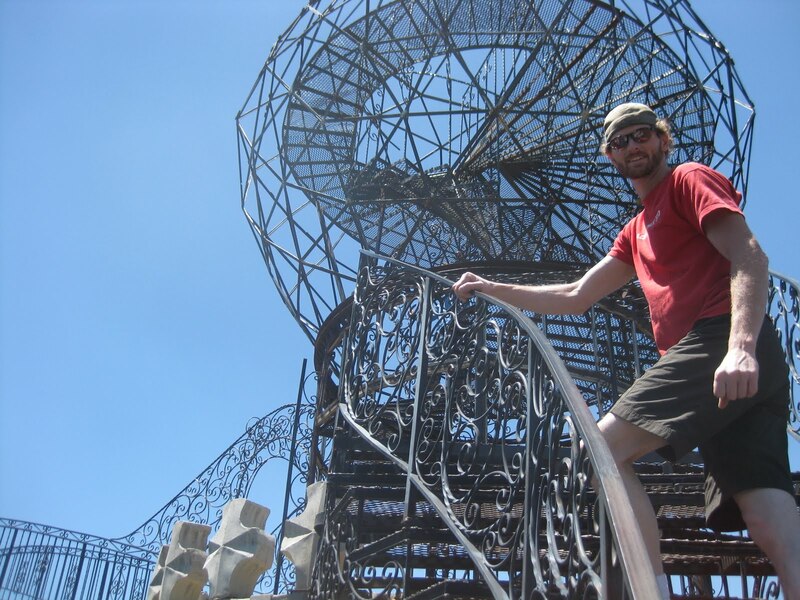 Here I am on the rickety cat walk up to his metal globe. 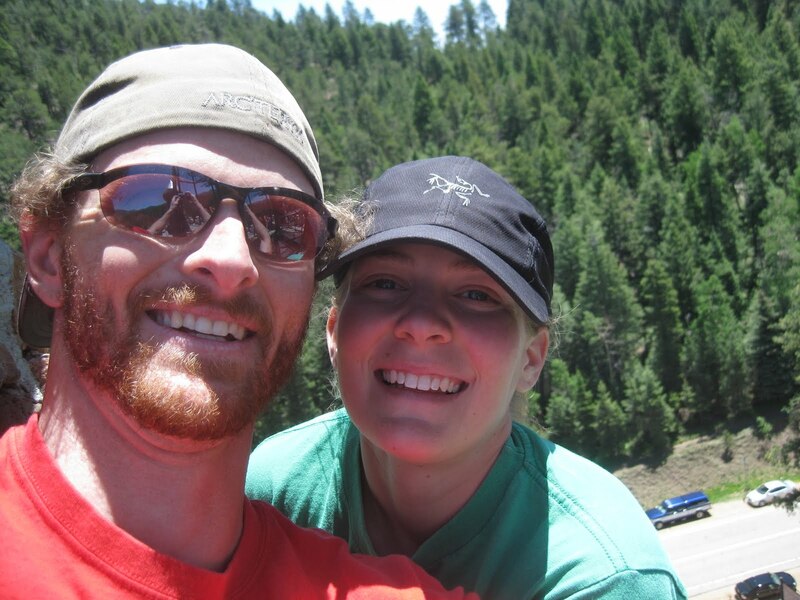 Jane and I are nearly 50 feet up enjoying the scenery and swaying metal structure. Jane at the base of the giant home made castle. Jane and I some where up high in the castle. 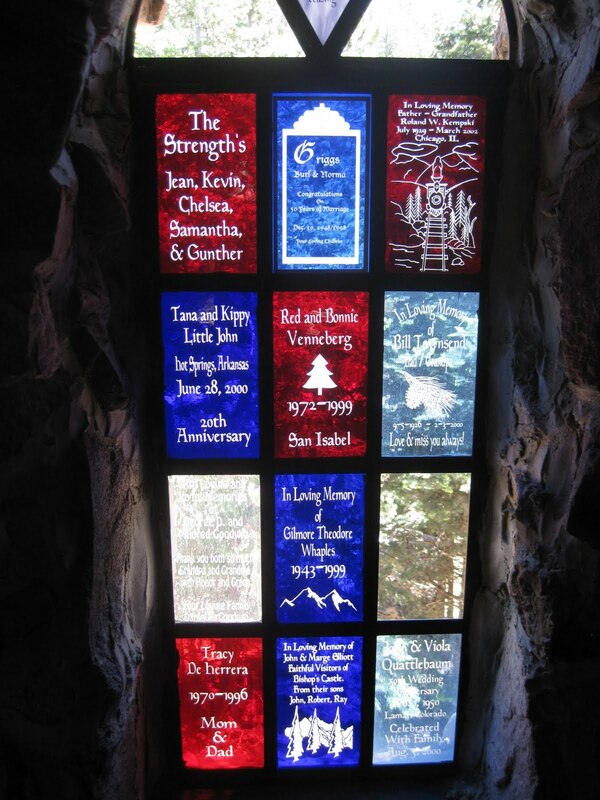 Some of the stained glass windows from inside. The interior was left open with big rooms and beautiful stone work. 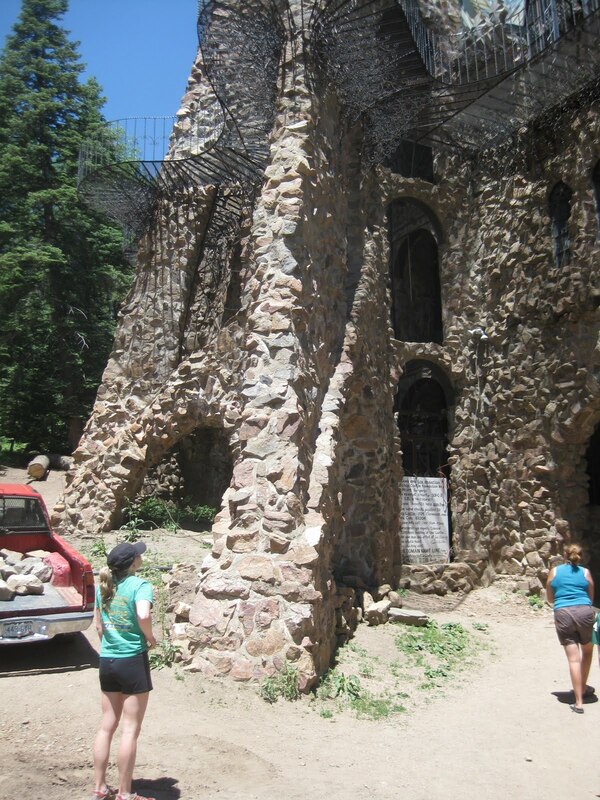 An amazing place to wander around for a little while and in a beautiful forest in the San Isabel National Forest. The only place where you can get an entire photo of the castle. The tower on the left has to climb to about a hundred feet up. There is a catwalk around most of the castle, spiraling staircases, huge rooms and it’s always a bit windy here so being up high can be a bit nervous. I was sketching as I went to the top of the tower. The wind was picking up and its just a swaying spiral staircase making you dizzy as you head out of the safety of the rock and into space. What a place!